[New York], February 22, 2015 - When Björn Borg launches their Spring/Summer 2015 Collection, the Sports Fashion brand blows a kiss to the gaming world through presenting their collection not through a commercial, fashion ads or a lookbook, but through an online fashion game experience where their clothes gives the player extra love strength. 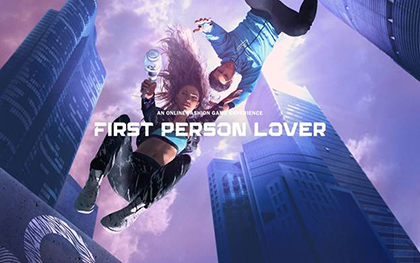 Through the game, a new platform for e-commerce is introduced: in-game shopping with the player equipping their avatar with the new Björn Borg collection to fight the forces of evil with the power of love. Equipped with a love glove, you master your enemies with e.g. a hologram kiss blower, a flower petal thrower or rainbow caster made from pink gold, white leather and acrylic glass for the ultimate style experience. Fellow Swede Felix "PewDiePie" Kjellberg, who runs the largest YouTube account in the world, calls the game "The most fabulous game in the universe" and his playthrough of the game at his YouTube Channel has received over 4 million views so far. American YouTube sensation Markiplier calls it "Game of the Year". "We have taken the aesthetics from the First Person Shooter games and turned it upside down. We want to offer gamers and shoppers a whole new experience", comments Lina Söderqvist, Marketing Director, Björn Borg AB. "It has been extraordinarily fun to see the collection come to life in 3D and having avatars wearing it. The game has taken my vision of fictional worlds to a whole new level. I might be the first designer ever that has his collection bought through a game", says James Lee, Head Designer, Björn Borg. Styling takes its inspiration from scuba wetsuits through using chunky zips, neoprene, thicker seams and mixing together bright colors with black. Important colors in the SS15 collection are black & white and combining these with soft shades of grey, pink, orange and mint. The Björn Borg SS15 collections of underwear, apparel, footwear and bags is available at select retailers and Björn Borg concept stores.